methods, structure and style, is exactly for these kinds of people. 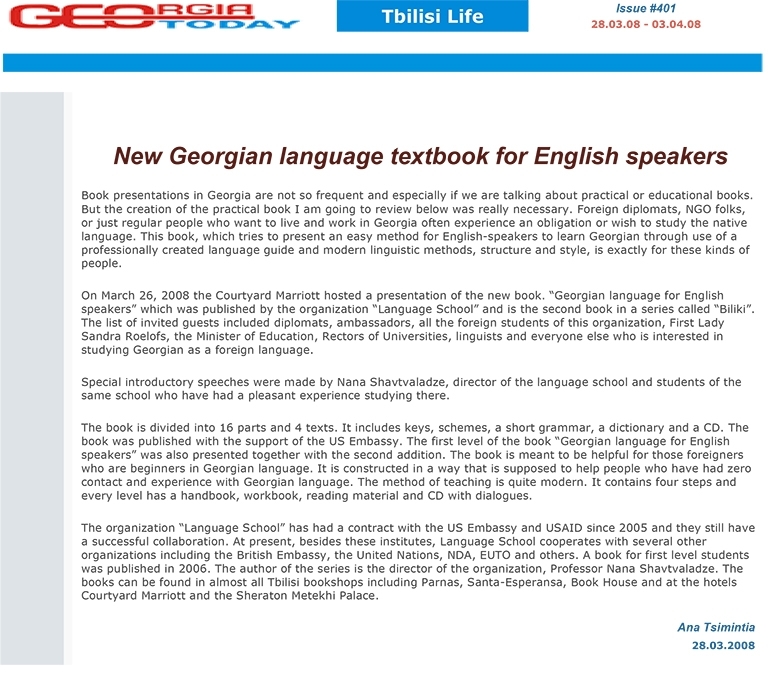 everyone else who is interested in studying Georgian as a foreign language. reading material and CD with dialogues.